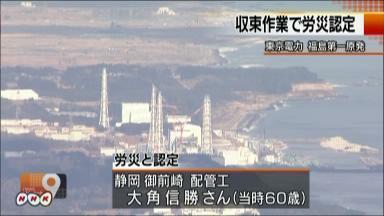 TEPCO announced that 9 out of 41 thermometers at Fukushima Daiichi are now reported failed. Temperature gauges began rising again on February 20th, peaking at over 50 degrees Celsius. At the end of January, one of the three thermometers at the bottom of the Reactor 2 RPV started displaying abnormal values at the end of January, and was found to be broken, the RPV temperatures is being surveyed by two thermometers. NISA has instructed TEPCO to report a plan by March 1 of an alternative method to temperature monitoring. NISA finished inspecting the Fukushima Daiichi plant, and identified other deficiencies, such as measures to prevent the freezing of pipes, the security system and other unlisted general procedures. Japan’s Industry Minister Yukio Edano and Prime Minister Yoshihiko Noda have recently begun speaking about the need to restart the nation’s nuclear reactors, despite wide public opposition to nuclear power. A report by the Mainichi Shimbun said Japan’s government wants to replace all 17 board members of TEPCO and name an outsider as the new chairman, in exchange for $12 billion of tax money to save the crippled utility in the biggest bailout in history.